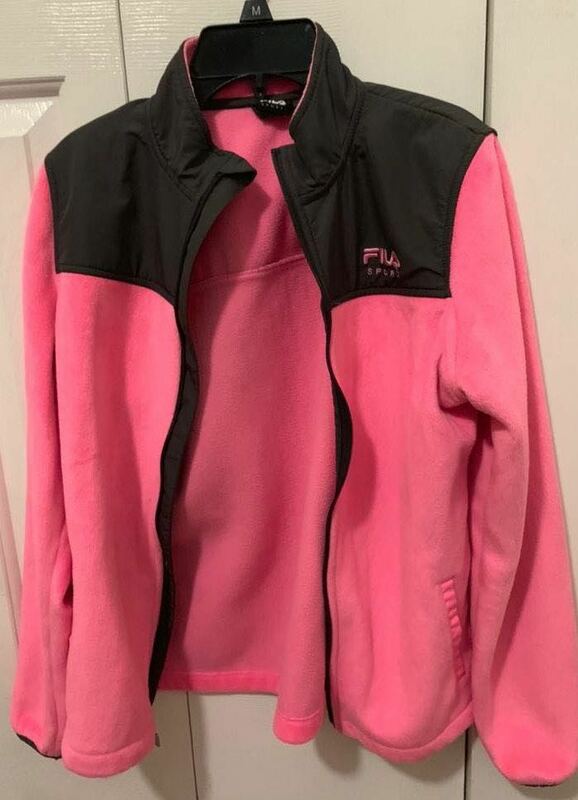 hot pink fuzzy jacket with zipper but no hood. only worn a couple of times! in good condition! !